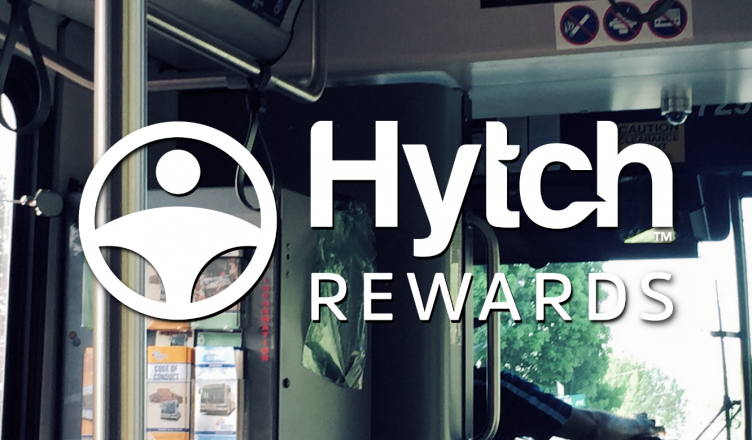 Hytch Rewards, a Nashville-based startup, recently partnered with the Nashville MTA WeGo Public Transit to pay you to take public transit or carpooling instead of driving your own car everywhere. The startup recruits partner organizations to get their employees, members, students, etc. to make the money-earning part of the program work. In the case of Nissan North America, they are funding the base $0.01/mile base amount you can earn using the app within Tennessee. Since its launch in February, the program has paid out about $130,000 in cash rewards. Truthfully, you aren’t likely to make a lot of money using the application — for comparison, the federal reimbursement rate for mileage is $0.545/mile for 2018. 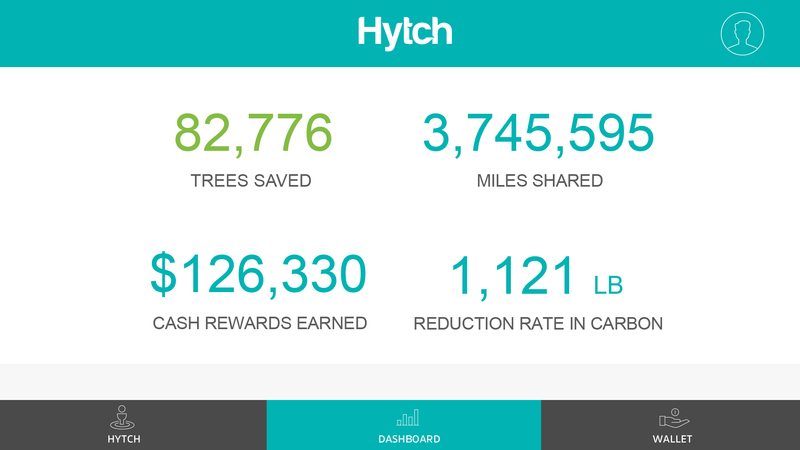 But the company says the point behind Hytch is to incentivize sharing rides with others and helping the planet, not getting rich. In the shadow of the failed “Let’s Move Nashville” transit referendum earlier this year, city leaders are still trying to find viable solutions to reducing congestion on the roadways. For its part, WeGo is replacing about 20 percent of its aging bus fleet and began renovating the downtown transit hub in May. The first thing to know is that you must be traveling with another Hytch user to earn credit for your rides. One person starts the ride and then adds one or more other riders, which will confirm things by entering an SMS code into their phone. You don’t have to have the app running in the foreground after going through the setup process for it to accurately log mileage (unless your phone’s privacy settings prevent that). If you and a fellow rider are on the bus or using a ride-share service like Lyft or Uber, pick somebody from the group to start the ride. Bus riders in particular may struggle to earn credit if they travel alone, unless they happen to commute often with somebody else in the neighborhood. Wait, I was told there would be money? After you have completed enough trips to earn at least $10, you can arrange for a bank transfer through PayPal. That is currently the only way you can receive the money using Hytch. If you were only earning the $0.01 base fee, you would need to commute with another person for at least a 1,000 miles (about 15 trips back and forth to Murfreesboro) to earn the $10. If you want to earn more than the base amount, your employer or group must be in the partner program. They list 12 partners on their website as of this writing. So who are these folks again? Hytch, LLC began development in 2015 and was originally designed to pair riders together who planned on traveling to the same or similar destination. Something like a dating app for commuters that happened to be going the same way. A few years later, they found themselves on a different road with bigger partners. 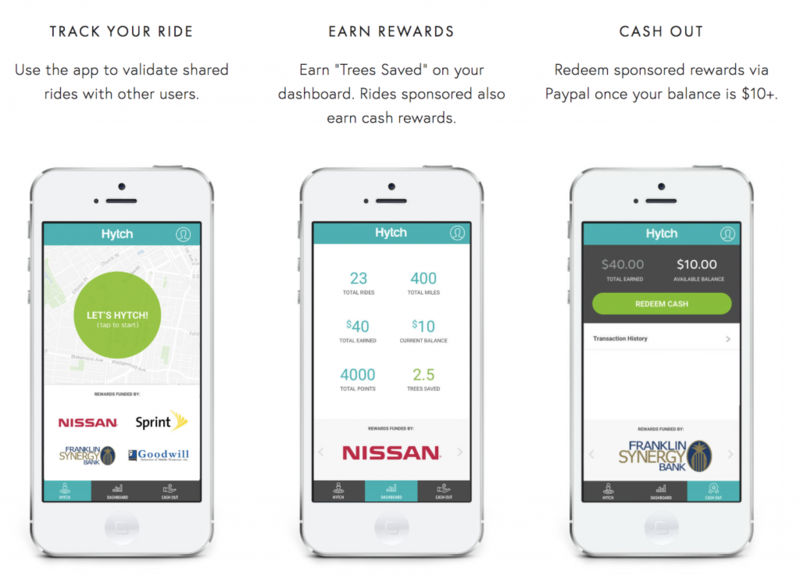 “We re-launched as Hytch Rewards in February 2018 with a new focus on our mission to make ride sharing the dominant form of personal mobility,” Cleveland says. The company received $150,000 in an investment from Launch Tennessee in August. As for the future, the company focused on expanding regionally and nationwide after proving their technology platform works and that people are willing to make “positive transit decisions” for only a few cents a mile. They hope to partner with new sponsors and cities looking to help save the planet / reduce the pain of getting around the city. There will of course be bumps in the proverbial road — Hytch sent an email last week to all of its customers apologizing for a prolonged outage because of issues with a hosting provider. The app is available for Android and iPhone.